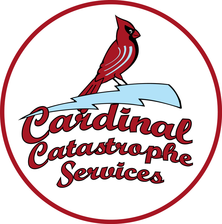 Nashville Catastrophe Services Eco Action! All work-site scrap is recycled, and that which cannot be reused by Nashville Catastrophe Services is delivered to a company which reprocesses it into other materials. We run a mostly paperless office - our internal tracking system is completely automated. Waste oil is sent out for eco-friendly disposal. 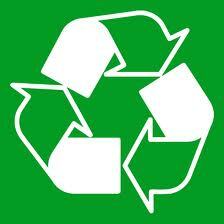 Recycled material is used in production where practical. We use environmentally friendly and energy efficient materials in our installs. Recycling containers are installed in offices and common areas. A staff ride sharing program is promoted throughout our company. Products are donated to charities such as Habitat for Humanity. We promote the use of Energy Star products whenever possible. We offer green and organic roofing. 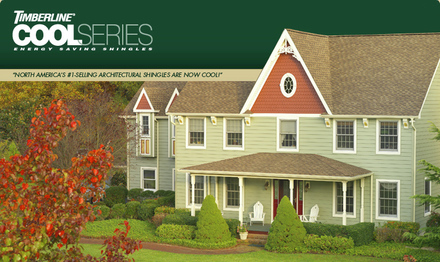 Cool" shingle roofing is accomplished by installing a variety of light colored shingles, or "Cool" shingles as well as by using effective roof ventilation systems. The right combination of the two can keep your roof upwards of 70% cooler.